A couple of months ago, I asked the members of our student Facebook group what kind of challenges they would like to see. 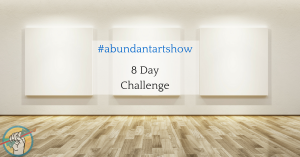 One of the events that came out of it was the 8 Day #AbundantArtShow challenge. We had some very impressive results from some of the 500+ artists who participated in the challenge. Its very simple: every day for 8 days, we send you one email with one action item. You do that action item, and art sales follow. I also jumped on a Facebook Live video broadcast each day to encourage the artists who were participating, call out victories, and answer questions. But simple is deceptive. Simple is powerful. 25 artists sold a piece of art in the first week of the challenge. I’d call that a pretty rousing success! Way to go everyone! Here’s some quotes from artists who participated. 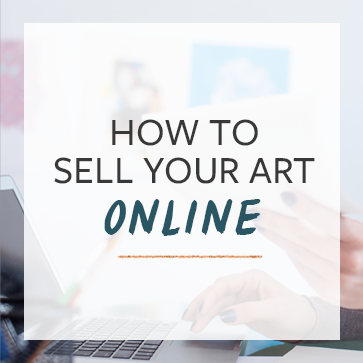 “I actually sold two pieces using Facebook and an email promotion.” – Marianne Goodell. “Barely 3 hours after i set up…i got a message by an editor of an art magazine focusing on female artists asking me to be featured their next issue!!!! Starting this Monday, June 26, we’re doing the challenge again. You can participate by clicking here. Don’t think about it too much. Just join us and do something fun and challenging! By the way – if you’ve already done the challenge, you’re more than welcome to do it again! Hi, I haven’t been receiving any emails about the challenge. Wondering if I have registered successfully?